Since the day I gave my life to Christ, I continue to strive daily to live a life that is pleasing and acceptable to God. I am aware that the ultimate person to please is God, and I can only please Him through accepting the WHOLE TRUTH of the Bible. Below points summarise what I strive to put into practice on a daily basis. Encourage yourself by following the 5 essentials of Christian living, or do you have your own essentials of Christian living? 1 ) Love one another and do not love the things of this world. Things not to love: stealing, gossiping, making assumptions . . .
1 John 2 vs 15-17 explains why we are not to love the things of the world. I have decided to quote Good News Translation due to its lucidity. "Don’t love the world and what it offers. Those who love the world don’t have the Father’s love in them. 2) Worship God in Spirit and in truth (John 4 vs. 19-23). God is looking out for those people that will worship Him out of their true selves, out of their being, without compulsion, those who would worship Him in every aspect of their lives and those who are honest in their worship. Prayer: the direct telephone number to Jesus Christ is 333. I don’t literally mean the number 333, I mean Jeremiah 33:3. This scripture reminds us that, we can call upon God at any time, and He will show us great and mighty things we do not know. We as Christians must talk to God every day. To illustrate: If you are married or in a relationship or have a close friend, I'm sure your desire would be to communicate with such individual on a daily basis; with daily communication, your knowledge of such person increases, you start trusting them and before you know it, you would feel odd if you have not spoken to your loved ones. Jesus Christ wants His children to discuss everything with Him; He wants you to be open with Him. He wants you to share your secrets, your worries, strengths and weaknesses with him. When was the last time that you discussed your worries with God? 4) Humble Heart: God wants us to continue to recognise that we are spiritually helpless without Him regardless of the position we attain on earth, be it at work, school or in church. The bible says that for those who recognise they are spiritually helpless, the kingdom of Heaven belongs to them (Matthew 5:3). 5) Giving: Why should Christians give? Why should I give as a Christian? Is giving optional for me? Absolutely not! While it is sometimes difficult to give, we have to be reminded that, it is a commandment from God. Our giving/gifts is not needed by God but rather they are needed in order for us to support God’s work on earth and to bless others. Giving activates blessings of God for us. The scripture says that, the earth is the Lord’s and its fullness, the world and those who dwell therein (Psalm 24:1). Since God owns everything, it therefore suggests that, we own nothing; we are simply stewards of God’s possessions. God expects us to give from what He has given us. The general rule is that, before money can multiply, there must be a time of investing the money into something. 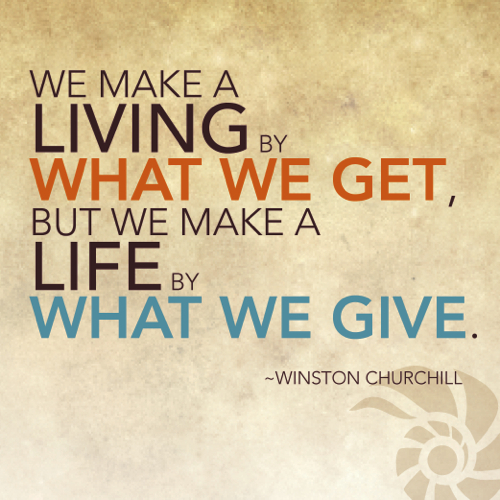 The same principle applies to giving, before we can yield more harvest, we must give. Thinking from it from your own mindset, it may sound irrational. However, this is God’s promise; He stated that, whatever we sow we will reap (Galatians 6:7-8). For giving to yield an effective outcome, our mind must be fashioned in such a way that we do not expect to be blessed back from the person that we gave to. Put the law of harvest to work and see how it will yield results for you. I can assure you that, you won’t struggle in life. Do you give offerings in church? Do you pay your tithe regularly? How often do you support others that are in need? Do you have an experience to share about essentials Christian living? Be sociable and share this post! thanks for this. It is definitely needed in these times! For love, I like to see it as "love your neighbour as yourself and love God", I think that gives it more value and gives a deeper meaning into what love means. Are you treating that person exactly how you want someone else to treat you? Because we can say we love and still with-hold somethings, in that case would we like someone to show us that kind of love? I suppose the whole summary of Christian living is summed up in Luke 10: 27-28, which says, (27) we should love the Lord with all our heart, with all our soul and with all our minds (KJV). 28) Love thy neighbour as thy self. I like the way The Message Bible explains Luke 10:27-28, it says: we should love the Lord our God with all our PASSION and PRAYER and MUSCLE and Intelligence—and that we should love our neighbour as well as we love ourselves'. May the Lord help us to implement what it truly means to love Him and to love our neighbours. 5 essentials to Christian living: for the first 4 I agree, however I am not sure about 5. I will like to add that for number 5. I agree with giving 100% but however I do not think it is as important as the other 4 in terms of our Christian living "walk with God". Apart from the payment of tithes which is rubbing God. in terms of offering, etc I do not think they are the main focus of our walk with God. The principle with giving is linked to principle of the way God has made things. i.e. law of sowing n reaping. This is the reason why sometimes unbelievers are richer than some Christians because the law of sowing and reaping. that is prosperity. on the other hand, if we look at it under love, shwoing kindness to other then i see it as essential, but in that case "LOVE" covers it, but i dont see giving on its own as a key ingredient to our living our lives as christians. dont get me wrong, I think as christians we should give definitely! in terms of our walk with god, salvation, holiness etc are the paramount. p.s. the point above is based ont he fact that when you say xtian living u r talking about our salvation and walk with God? Am open to discuss this as we are all learning. iron sharpeneth iron. You are actually right, it might not necessary be seen as an essential Christian living as the law of sowing and reaping apply to everyone regardless of their faith. Myss Lafunky Reader Writes: Love Spurned. My week . . .